Daedalus Fira town hotel in Santorini Island in Greece provides budget accommodation in central Fira within walking distance to the pulsating Santorini town and the mesmerizing Caldera. 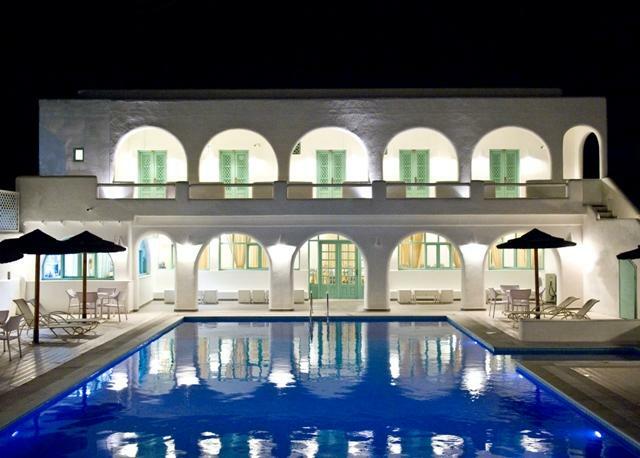 Andromeda Villas hotel Santorini is an elegant luxury hotel in Santorini situated in the beautiful settlement of Imerovigli, a charming hamlet perched on the cliffs of western Santorini, 300 meters above the dramatic Caldera. 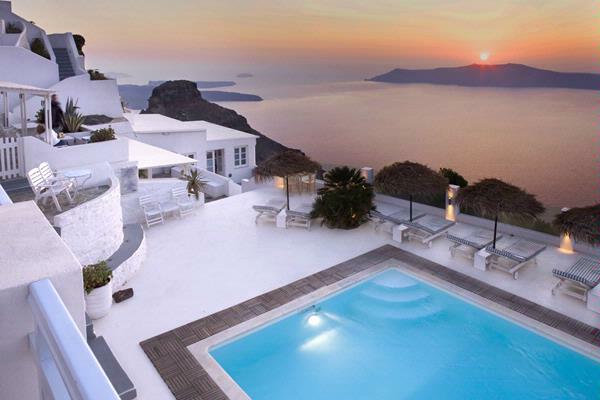 One of the most attractive features of the Andromeda Villas Luxury Hotel in Santorini is its breathtaking view of the volcano and Aegean Sea, an image which is absolutely enchanting, especially at sunset. The location of the hotel in Santorini combined with its excellent service and top-notch accommodation, make Andromeda Villas Santorini a unique hotel in Imerovigli Santorini.